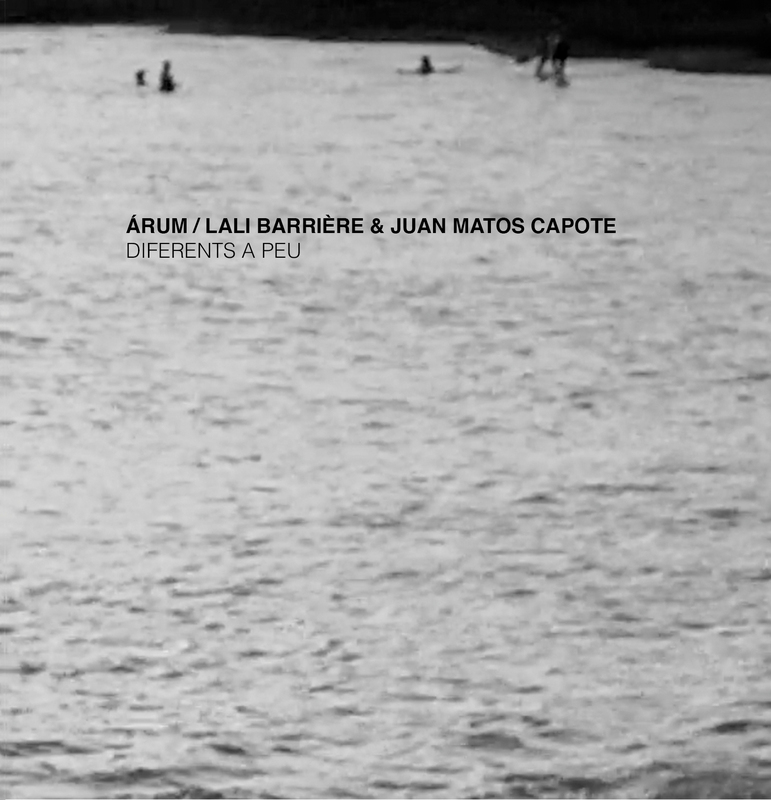 It seems to me that Árum (the duo collaboration by Lali Barrière and Juan Matos Capote) drifts between two different sonic environments; two worlds colliding and pushing each other towards their own sonic realms. With this album there is constant feeling of disattachment or maybe juxtaposition of realities or planes of reality. This feeling of maladjustment comes straight from the core differences between languages and materials. Barrière releases her characteristic unprocessed, but yet amplified, objects and gestures while Capote delivers steady tones and glitches produced by circuit bended radios and oscillators. Both musicians very consequent with the characteristic distance between sonic worlds manage to get together in a liminal territory that ultimately convinces us that it doesn’t matter what’s the formation of each musician in an ensemble as long as they understand and acknowledge each other to achieve harmony, not in musical terms, if not as a sonic couple. Finally, listening to this album I have the impression that Lali is constantly dragging Juan towards an acoustic space, with walls, a certain soundscape a human space with a room tone; while Juan is trying constantly to remind us that inside cables there is sound without space, without walls where to crash, with no room tone and no space for humans. “Diferents a Peu” presents three windows opening towards a territory crafted by two different sound workers, an entanglement between strangers and a drift to the unknown hand on hand with opposites. Juan Matos Capote: home-made electronics (oscillators and radios). Diferents A Peu by Árum (Lali Barrière & Juan Matos Capote is licensed under a Creative Commons Reconocimiento-NoComercial-CompartirIgual 4.0 Internacional License. Creado a partir de la obra en https://archive.org/details/at074Arum.